At Weight Management Psychology we believe psychology is the missing piece of your weight management puzzle. We help you transform your mindset around eating, physical activity, weight and body-image with a combination of traditional and innovative evidence-based approaches. We have fully registered psychologists who specialise in all areas of weight management using a range of approaches, including Cognitive-Behavioural Therapy (CBT), Acceptance and Commitment Therapy (ACT), Hypnotherapy, and Emotional Freedom Technique (EFT), all within a Health At Every Size (HAES)-informed framework. 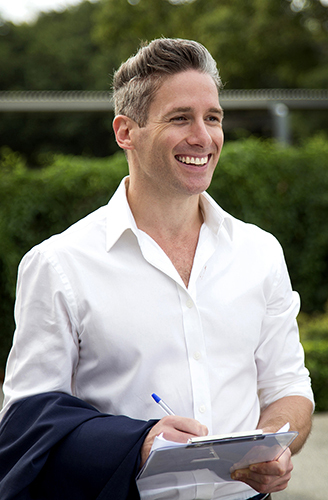 Glenn Mackintosh is the Founder of Weight Management Psychology and resident psychologist on Ten’s The Biggest Loser: Transformed. He is a member of the Australian Psychological Society, a fellow of the Obesity Prevention and Treatment Society, and the Queensland representative for the APS Psychology of Eating, Weight, and Body-image Interest Group. Before venturing into full time private practise, he was the Director of Psychology at the Wesley Lifeshape Clinic, and he also consults with Qld Bariatrics patients pre- and post- surgery. Glenn’s research investigated psychological and social factors and weight management, and he has lectured in weight management psychology, health psychology, and sport and exercise psychology at the University of Queensland, Griffith University, and the Australian College of Applied Psychology. Glenn has also developed the self-help resources The Complete Reprogramming Series, co-created Weight Management Psychology – Emotional Freedom Techniques for Weight Management Online Program with Professor Peta Stapleton, and developed The Twelve Month Transformation, a group and online program helping people free themselves from yo-yo dieting and develop naturally healthy habits. Glenn also features in the media regularly, having interviewed on weight related topics for Weight Watcher’s, Grazia, and Good Health Magazines, 4BC, 4BH, Casey Radio, and A Current Affair. Glenn’s passion is in helping people manage their eating, physical activity, weight, and body-image and training other professionals in applying psychological principals to help their clients who are grappling with weight management issues through his sold-out professional workshops, online courses for Personal Trainers through the Australian Fitness Network, and online courses for dietitians in conjunction with Dietitian Connection. Gaby Hill is a senior psychologist with nearly 25 years of extensive therapeutic, counselling, supervisory, & mentoring experience. 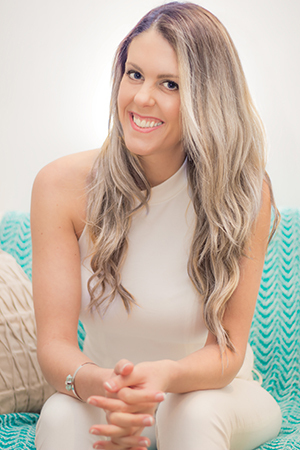 Gaby’s real passion is helping men and women to heal and free themselves from toxic eating and dieting culture, negative body image and the self-hatred that comes from living in a society that is all to quick to judge us based on our appearance. Her focus is on helping her clients to reach their highest goals through strategies that nourish, not punish! 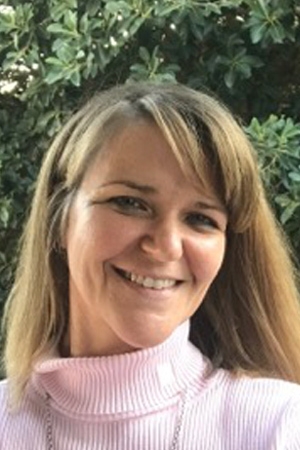 Gaby has a Masters degree in Clinical Psychology, is a Member of the Australian Psychological Society (APS) and a Fellow of the APS Clinical College. She is also a member of the APS Psychology of Eating, Weight and Body-Image Interest Group as well as the APS Buddhism Interest Group. Gaby’s areas of special interest include weight management, emotional and compulsive eating, chronic dieting and anorexia, binge eating and bulimia, body dysmorphia, body-image and self-esteem, as well as the importance of self-care and creating healthy habits. Her ultimate aim is to empower her clients to live life more freely and fully. Compassion-Focused Therapy (CFT). Yes! You will actually learn how to treat yourself like a good friend! 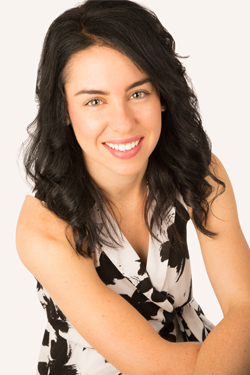 Shauna Spencer is a psychologist specialising in weight management. She completed her Bachelor of Science with Honours in Psychology at the University of Queensland in 2007. She also holds a Diploma in Fitness and is currently studying a Bachelor of Nutrition and Dietetics. She is incredibly passionate about helping people live happier, healthier lives. Since graduating in 2007 Shauna has specialised in the psychology of weight management and has had a wealth of experience prior to joining the team at Weight Management Psychology. Shauna has assisted people pre and post bariatric surgery at the Royal Brisbane and Women’s hospital. She has worked as a weight management psychologist with Glenn at the Wesley Weight Management Clinic, where she was part of a multi-disciplinary team. She ran one-on-one appointments aimed at helping individuals to overcome psychological barriers that prevented them from losing and maintaining weight loss. She has also worked as a weight management psychologist at Adro Sarnelli’s (winner of season 1 Biggest Loser) The New Me Obesity Rehabilitation Centre in Melbourne where she ran group workshops and individualised consultations assisting people to develop healthy mindsets around food, eating and physical activity. She has owned and operated her own health coaching practice where she assisted a variety of people to make health related behavioural changes and improve their overall well-being. Further to this she has also worked with families on a research project called NOURISH with QUT that aimed to prevent childhood obesity by setting up healthy eating habits in young children. Emma Slade is a psychologist specialising in weight management, physical activity and general psychology. She is also a Sport & Exercise Psychology Registrar. Emma completed her Masters in Applied Psychology, in the area of sport and exercise, at the University of Queensland in 2017 where she excelled with two Deans Commendations for Academic Excellence. Emma holds a Bachelor of Psychology with First Class Honours, graduating from the University of New England in 2014 as a Vice Chancellor Scholar, and is also qualified in group exercise training, an area where she has worked extensively before moving into psychology full-time. Due to her outstanding academic achievement, Emma was hand-picked by Glenn to support 60 participants through our flagship program, the Twelve Month Transformation in 2017. We found clients loved Emma’s authentic, compassionate, warm, committed, and evidence-based approach to helping them overcome eating, physical activity, weight, and body image challenges, so it has been a natural progression for Emma to move to seeing clients 1 on 1, which she and the clients are greatly enjoying. Emma has significant experience across a range of psychology clinics, sporting academies, and drug and alcohol support services, giving her a strong background as a general psychologist able to support clients with life issues related to their weight, health, and wellbeing. Emma also enjoys supporting bariatric surgery clients before and after surgery, working with Queensland’s top surgeons to help patients successfully navigate the surgery process and achieve the best long-term results possible. Emma is passionate about assisting people to build their healthy relationship with movement, and the application of exercise psychology in helping people to engage in movement that is fulfilling and meaningful. Emma’s research investigated the role of group fitness instructors in creating a social identity for class participants, and the positive influence this has on attendance and physical effort. Emma scored a mark of 95% for her research and is currently in the process of publishing her findings. A believer that movement is for everybody, in her final master’s year, Emma created an intervention to assist older adults in navigating barriers to their physical activity engagement. 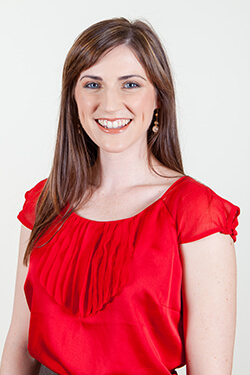 Dr Claire Ryan is a psychologist specialising in eating, physical activity, and weight management. She is passionate not only about about helping people feel better and improve their health, but live rich, full and meaningful lives! Claire’s PhD research investigated how to increase proactive coping strategies and create a state of confidence, optimism, hope and resilience in clients. She started her career helping students use more proactive coping strategies to improve their experience and outcomes at university. In the corporate world, Claire has worked for Australia’s largest integrated energy company, helping make the workplace healthier by researching and delivering interventions to change organisational culture. Thus, as well as supporting clients with their weight management challenges, she’s uniquely placed to support them through any study, career, or workplace issues that may (or may not) be related to them – all in an evidence-based way. Claire came to Weight Management Psychology after experiencing the benefits of applying psychological principles to her own personal struggles with food and exercise. Having seen first-hand just how powerful psychology can be, Claire developed a strong urge to help others create the sorts of relationships they want with food, exercise, weight and body image. A believer in a variety of evidence-based treatment options, Claire enjoys supporting bariatric surgery clients before and after surgery, working with Queensland’s top surgeons to help patients successfully navigate the surgery process and achieve the best long-term results possible. Possessing solid experience as a researcher, wonderful therapeutic skills, and a valuable lived experience of transforming her own relationships with food and physical activity, our clients value Claire’s particular blend of warm, evidence-based, committed, and compassionate therapy. To book in with one of our psychologists, or if you have any further questions, please contact us. Hey Buddy!, I found this information for you: "Psychology". Here is the website link: https://www.weightmanagementpsychology.com.au/psychology/. Thank you.